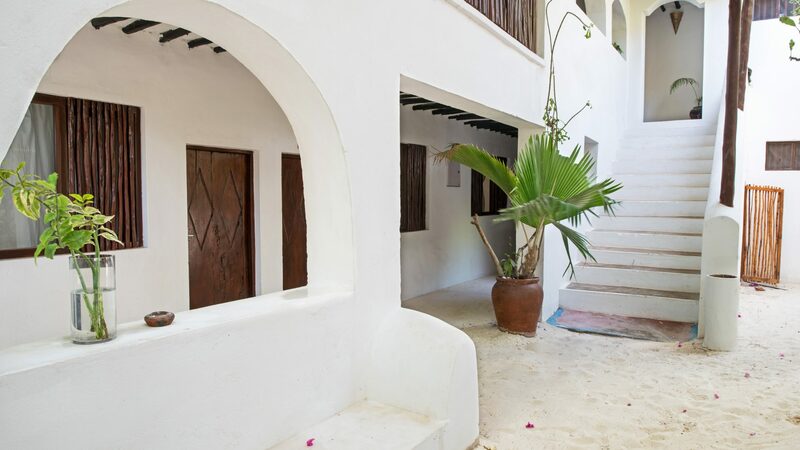 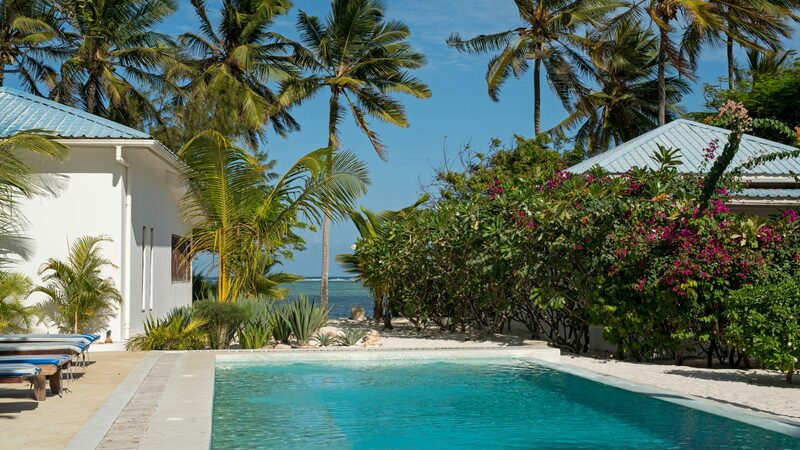 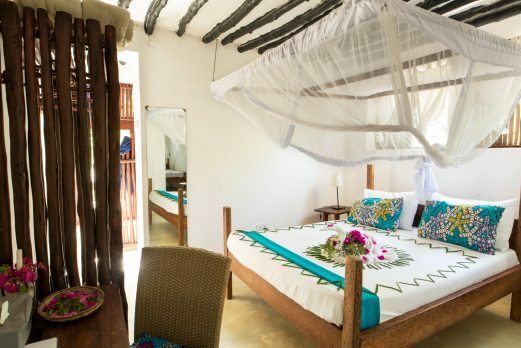 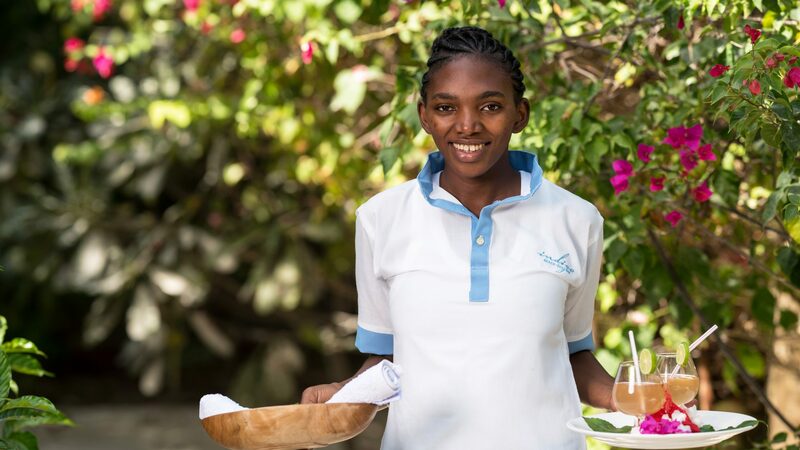 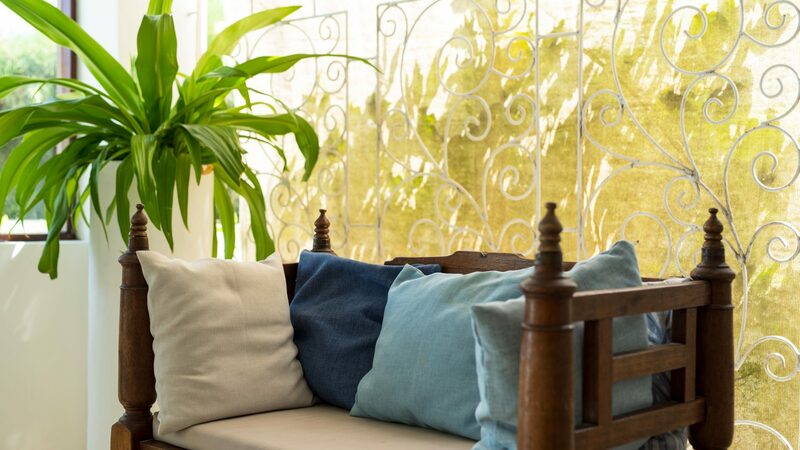 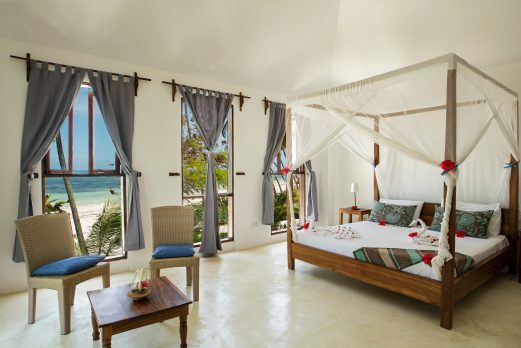 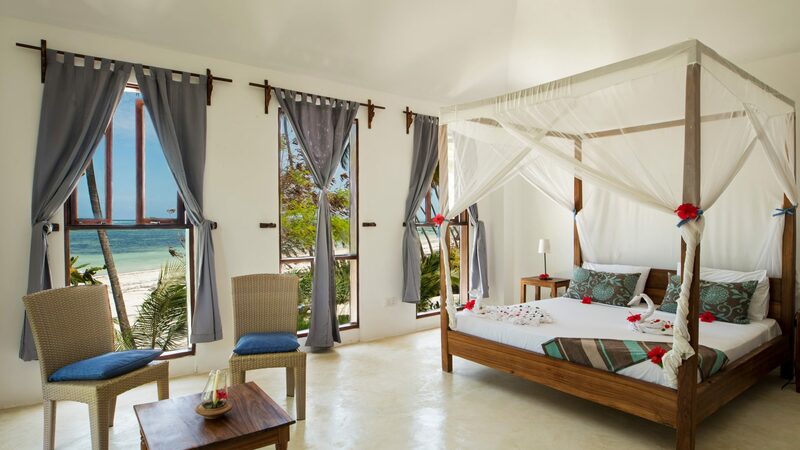 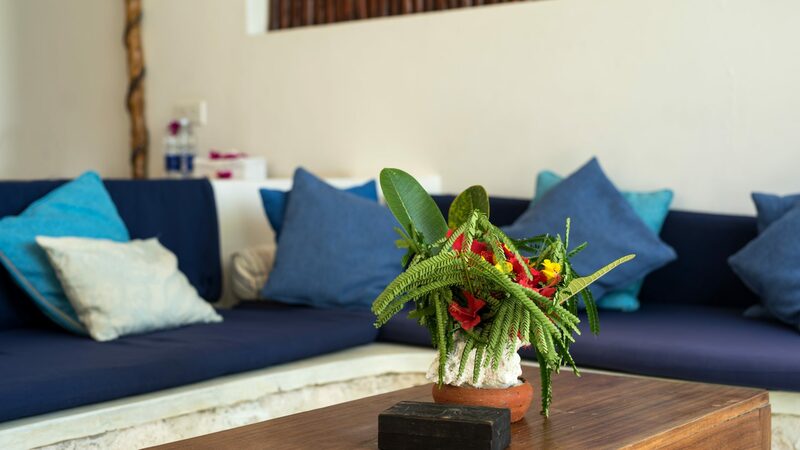 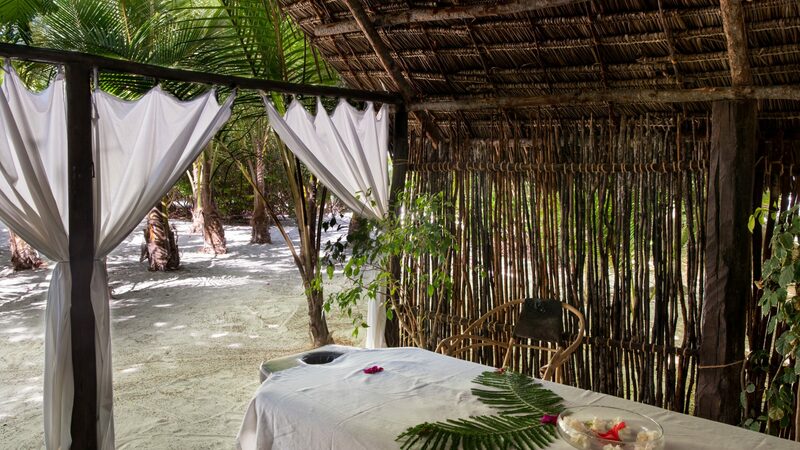 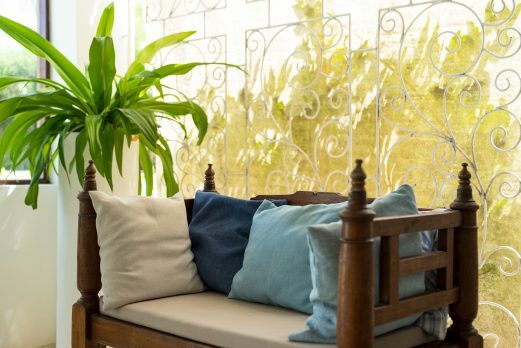 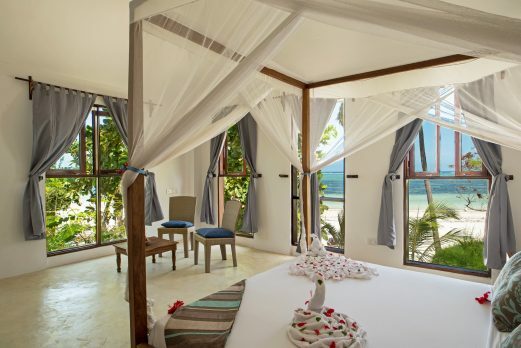 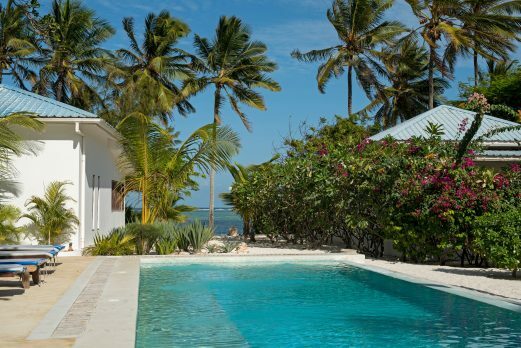 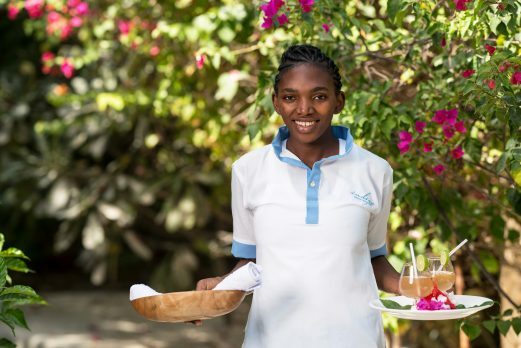 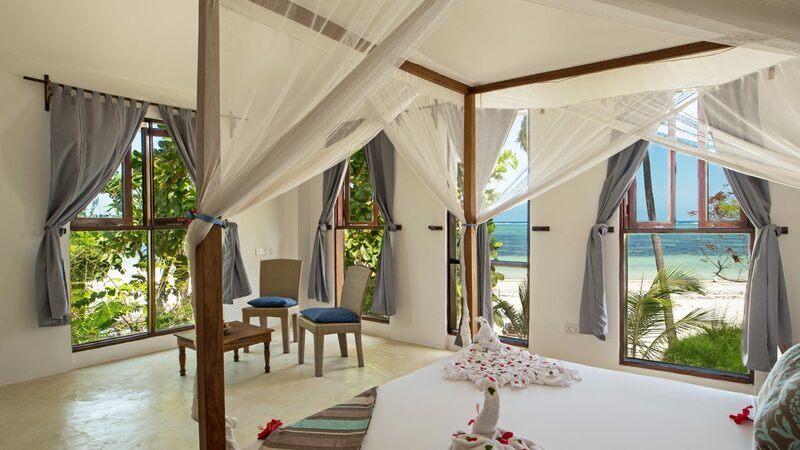 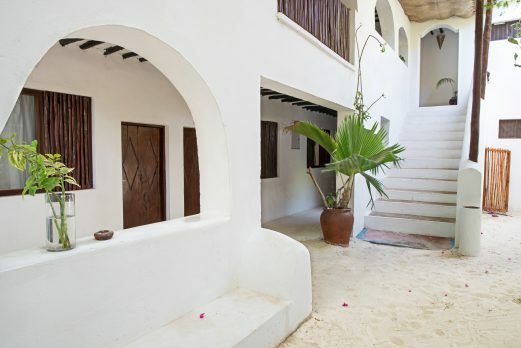 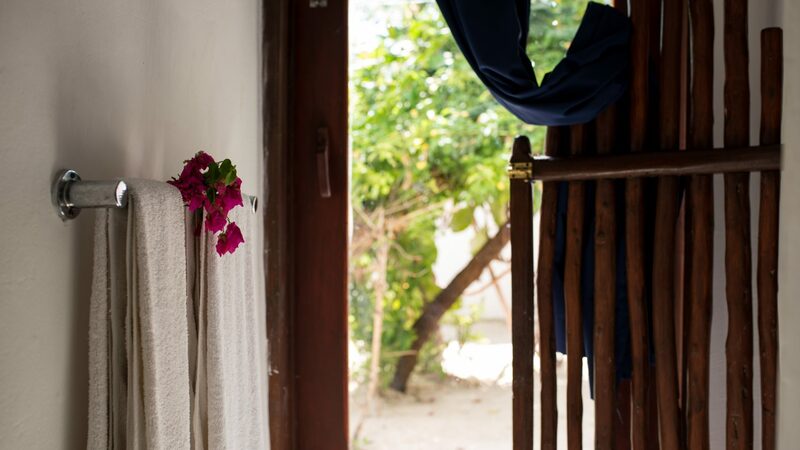 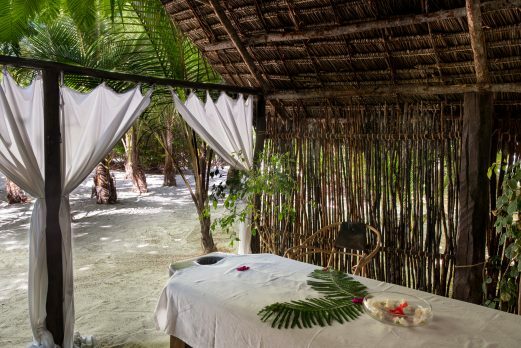 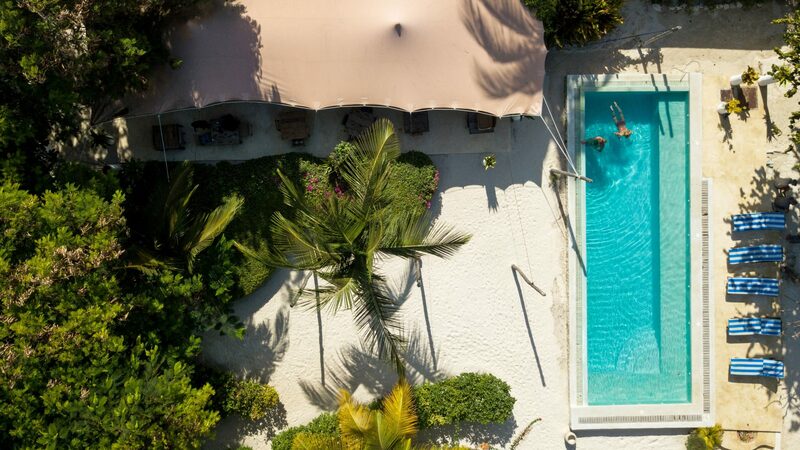 A lovely little boutique hotel well placed at Bwejuu on the south east coast of Zanzibar. 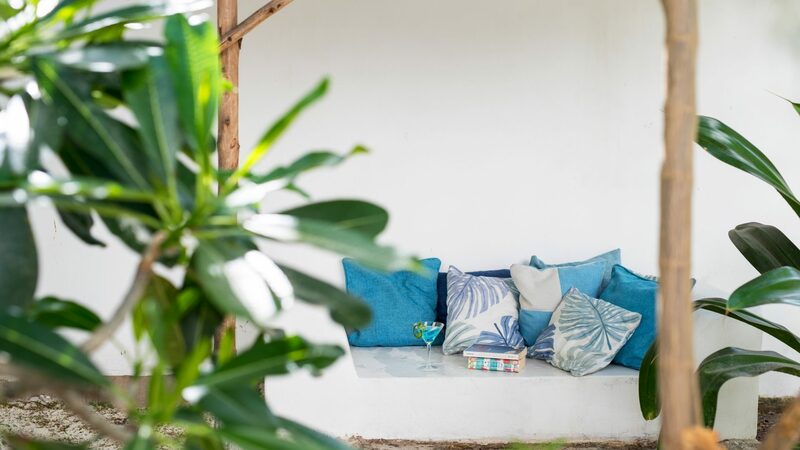 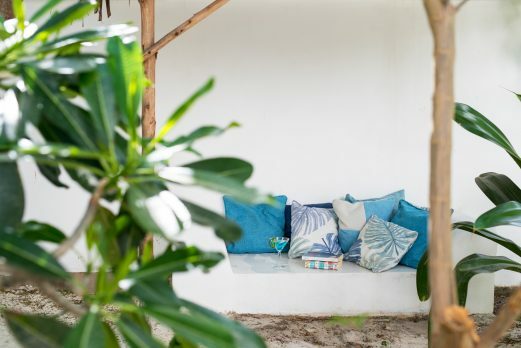 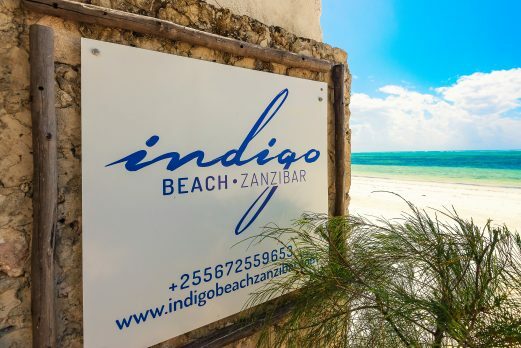 Indigo beach positions itself as barefoot and simple but with everything you need for a beach holiday. 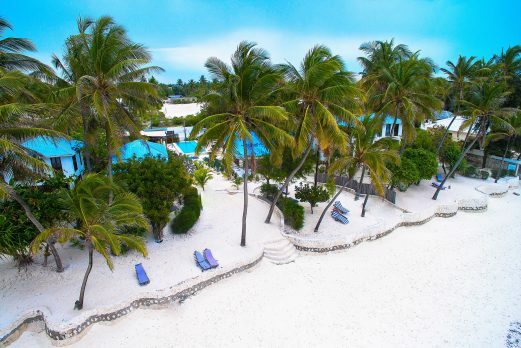 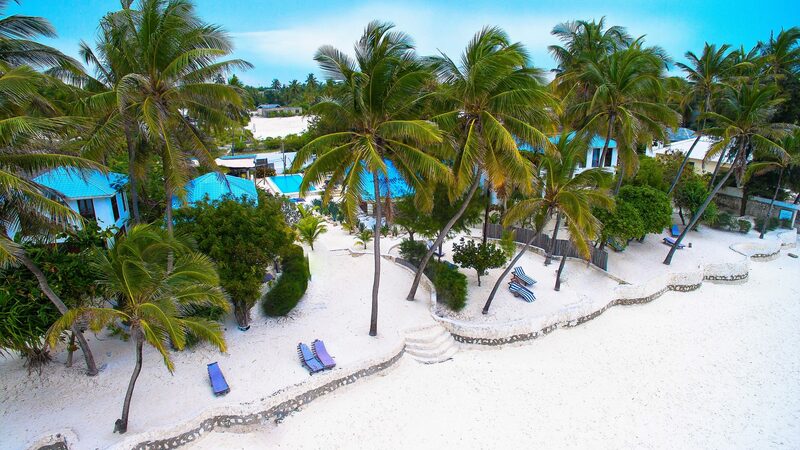 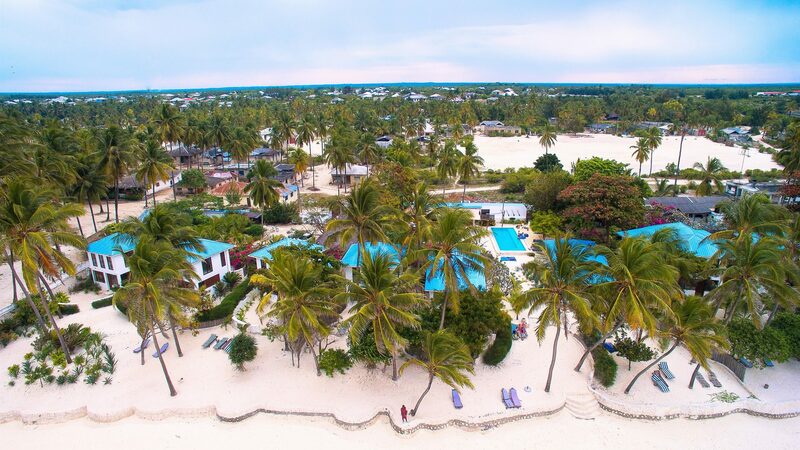 That main component being the far stretching white sands lapped by the indigo blue sea making beach life very much the focus of this small resort. 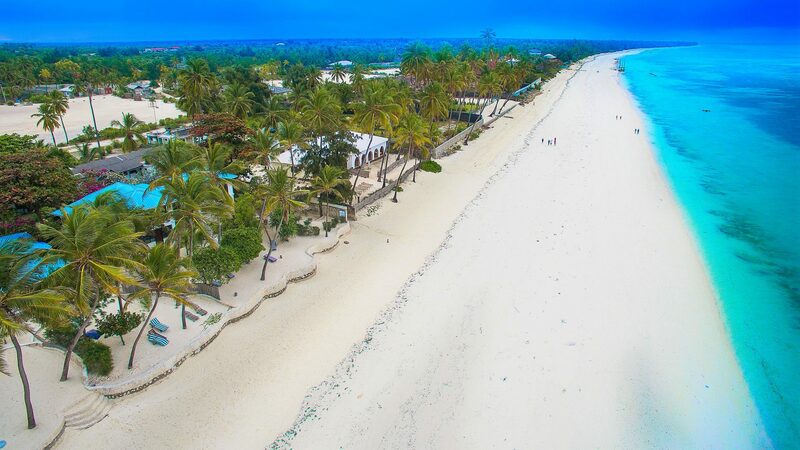 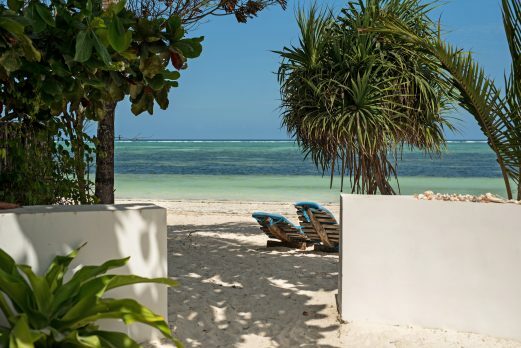 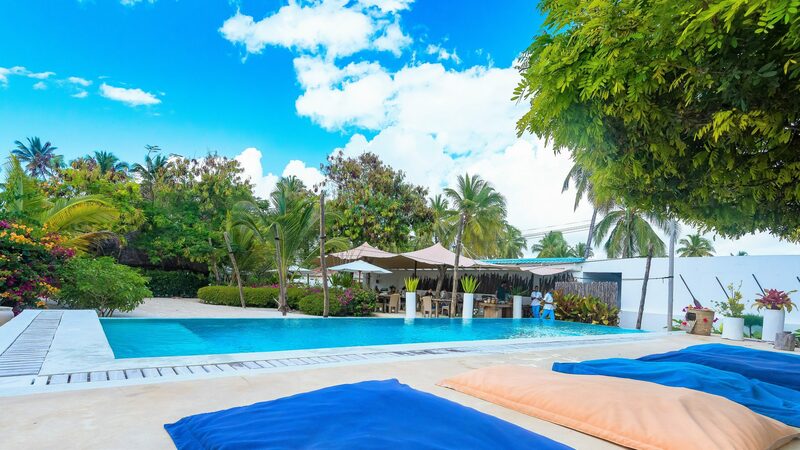 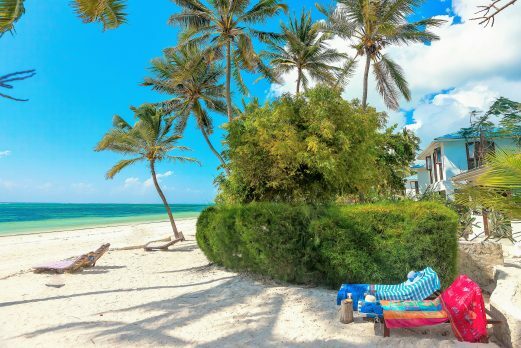 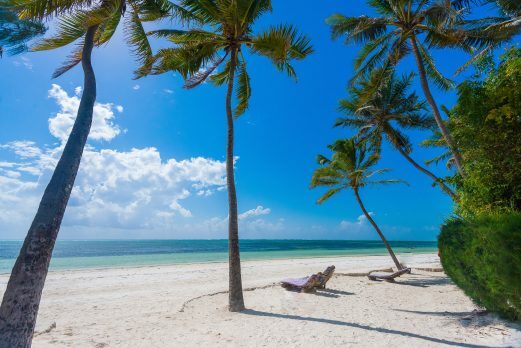 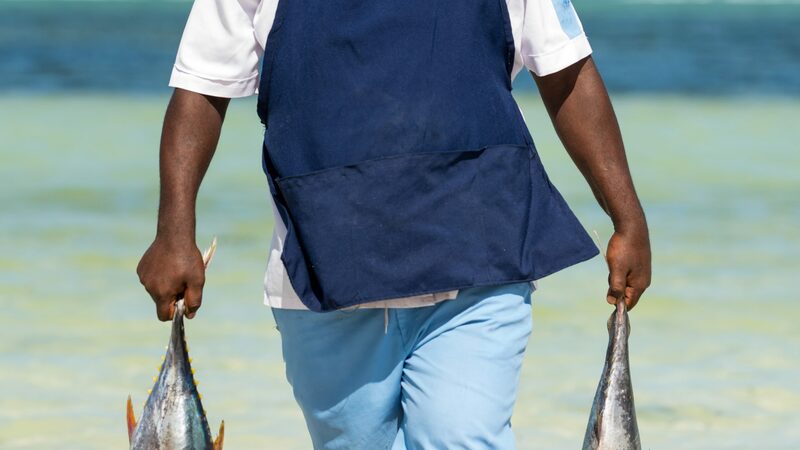 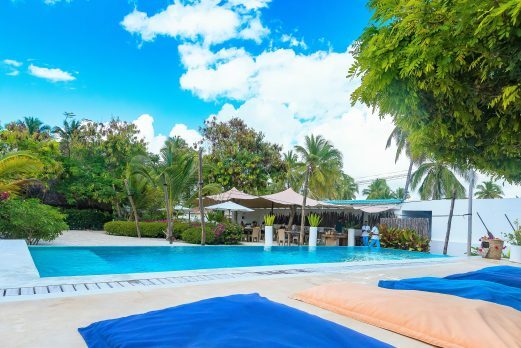 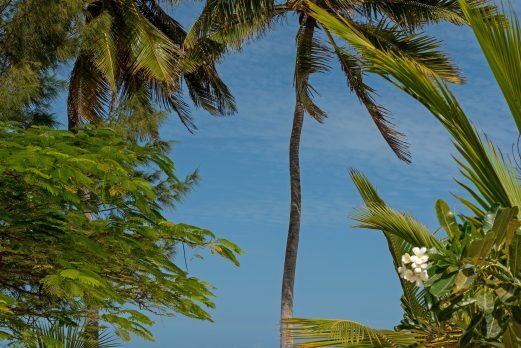 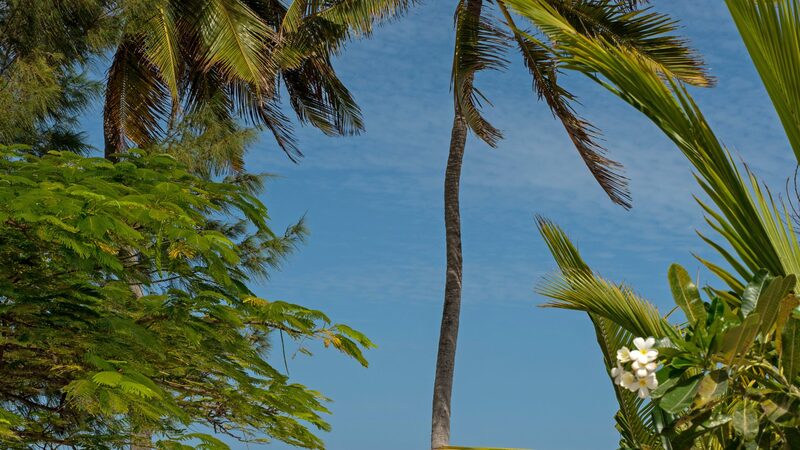 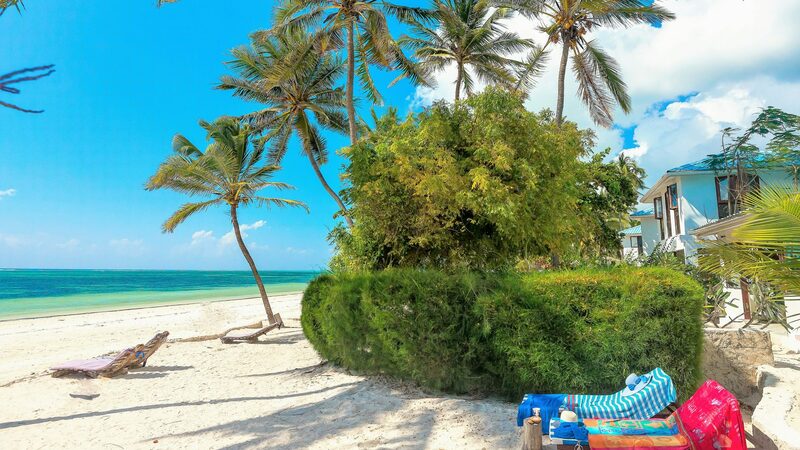 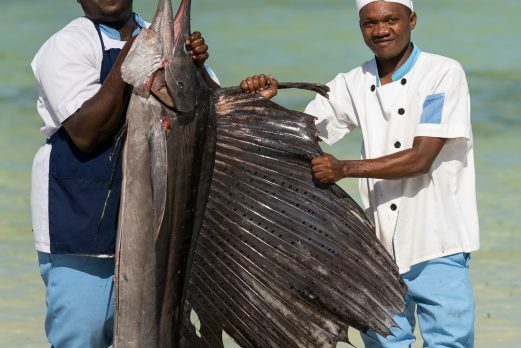 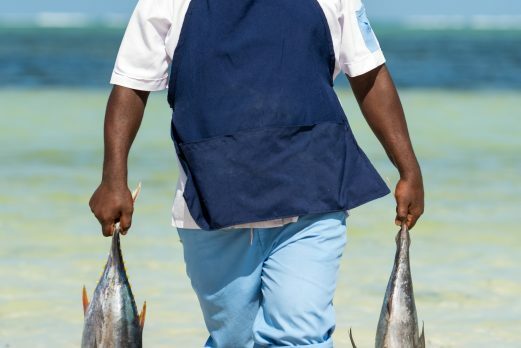 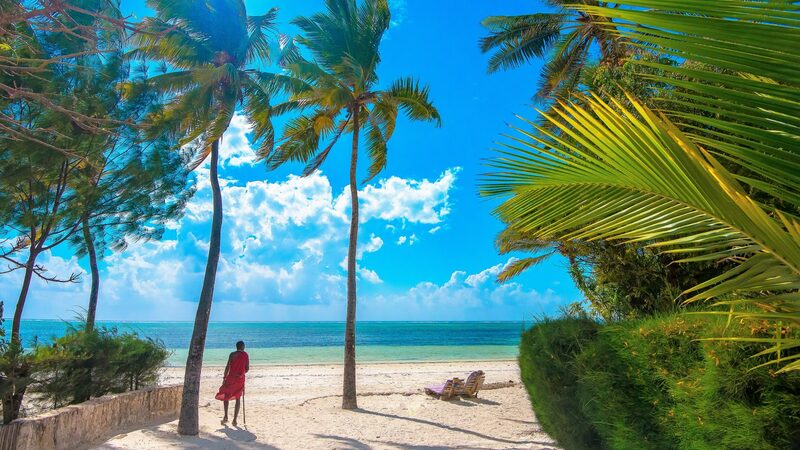 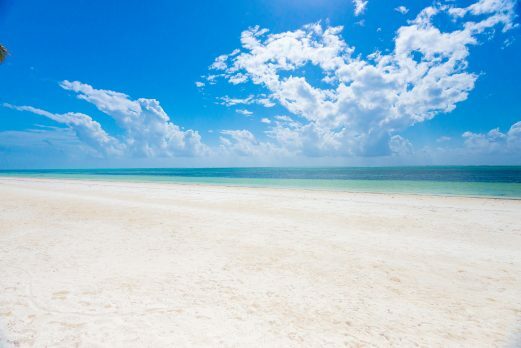 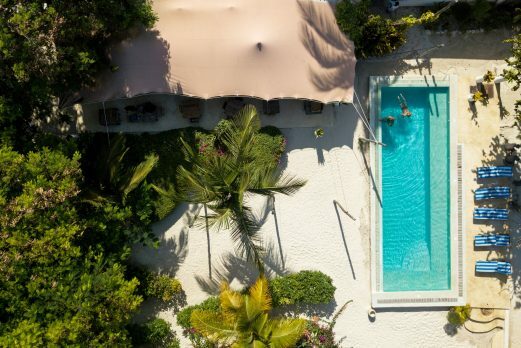 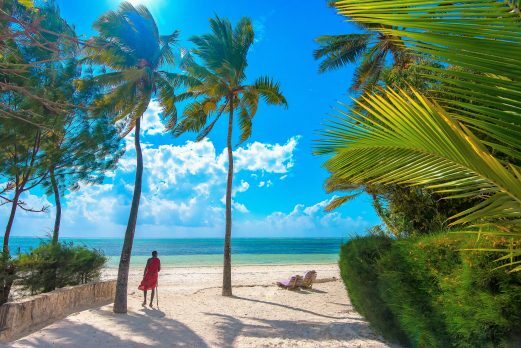 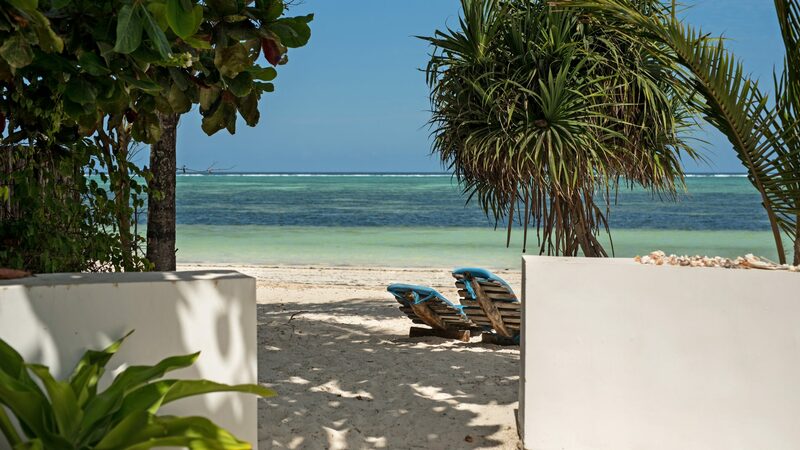 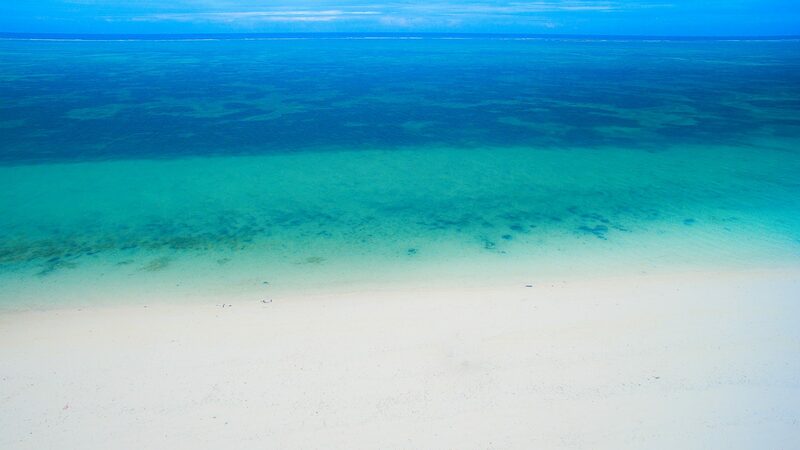 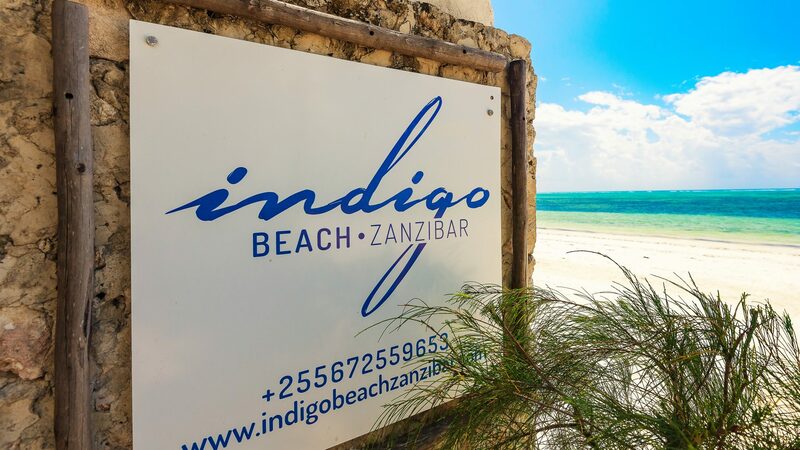 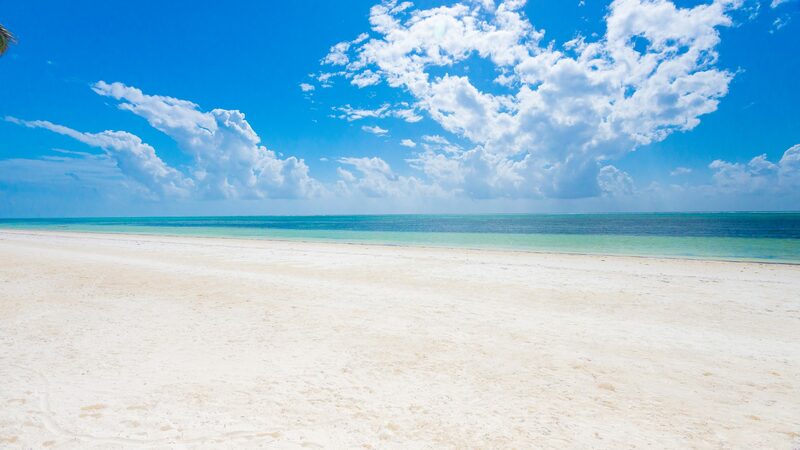 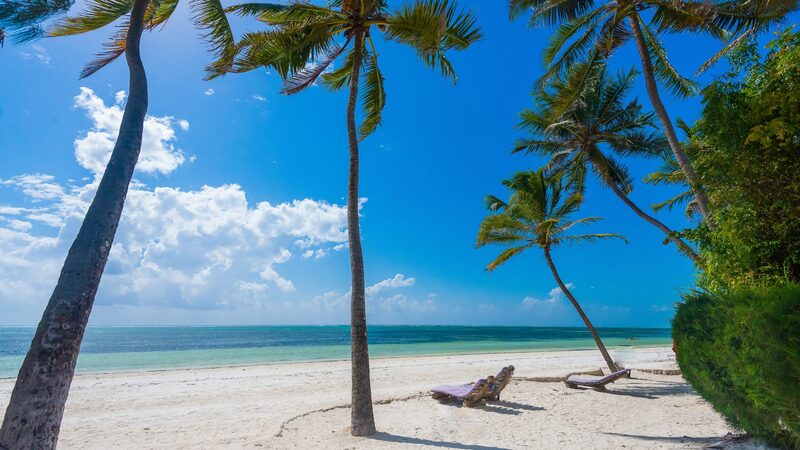 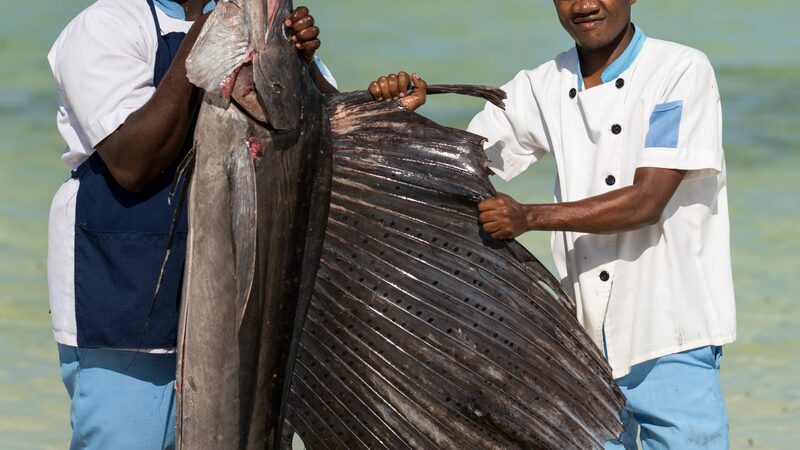 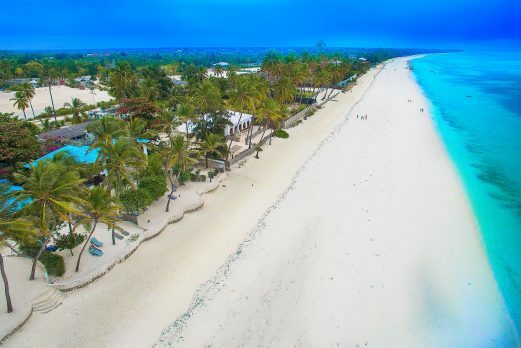 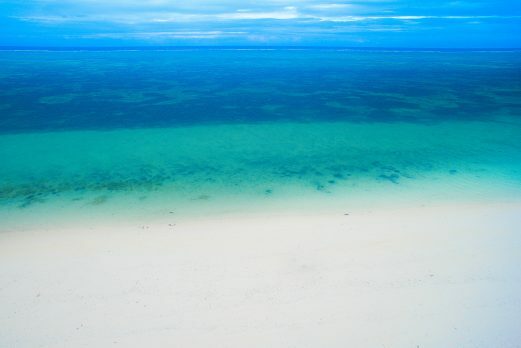 Indigo Beach is a simple and charming small beach resort located on the stunning beach of Bweju, by Paje, on the south east coast of Zanzibar. 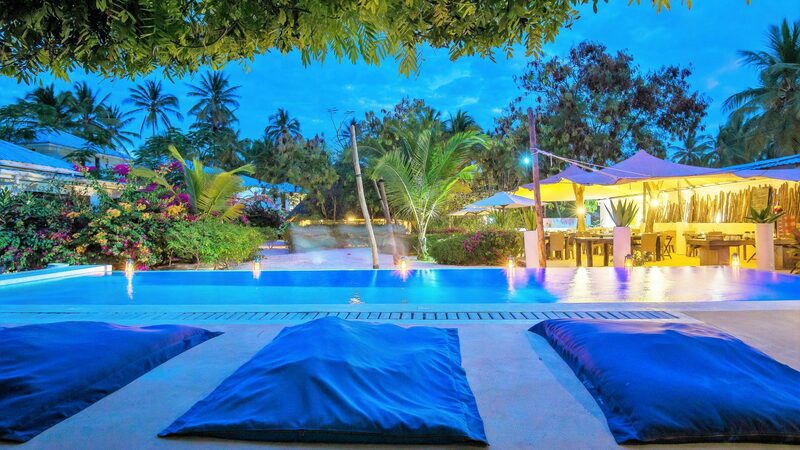 The resort is very much beach focused with a relaxed energy running throughout the property. 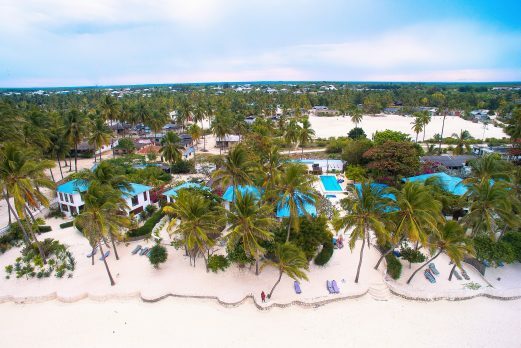 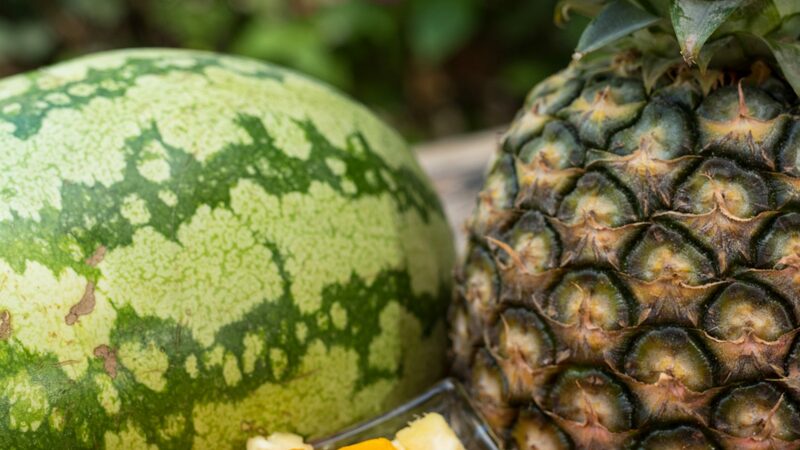 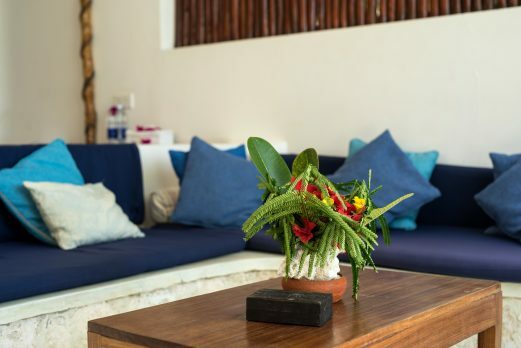 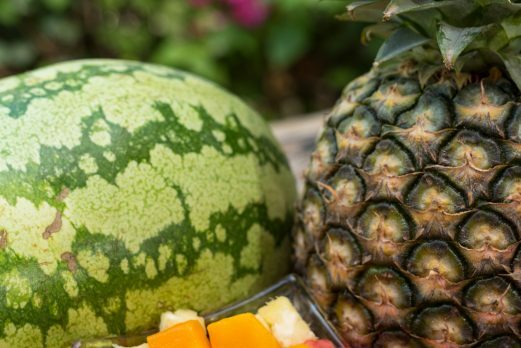 There are 9 bungalows of which 8 are beach front, with a choice of one or two bedroom cottages, making Indigo Beach ideal for couples and families alike. 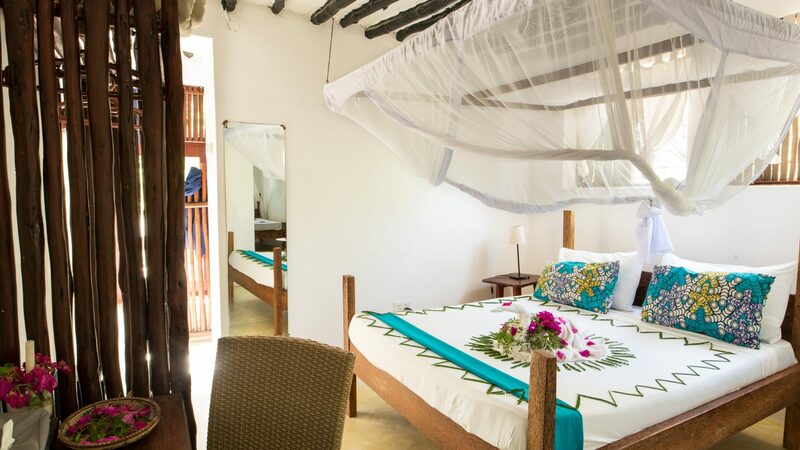 All rooms are extremely spacious with swahili-chic furnishings, large double (or twin) beds, en suite bathrooms and ceiling fans. 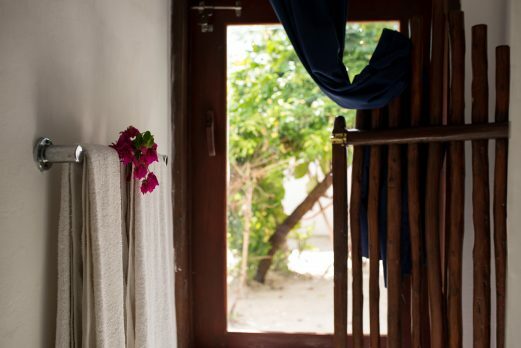 For those seeking something a little cheaper, the hotel has a guest house with simple rooms. 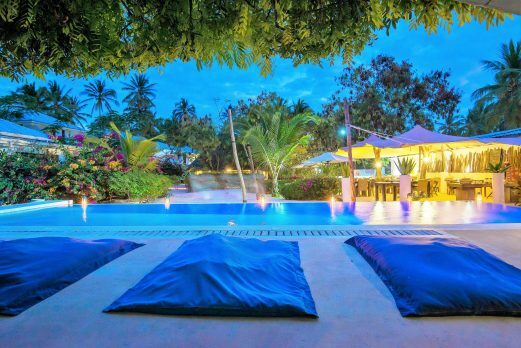 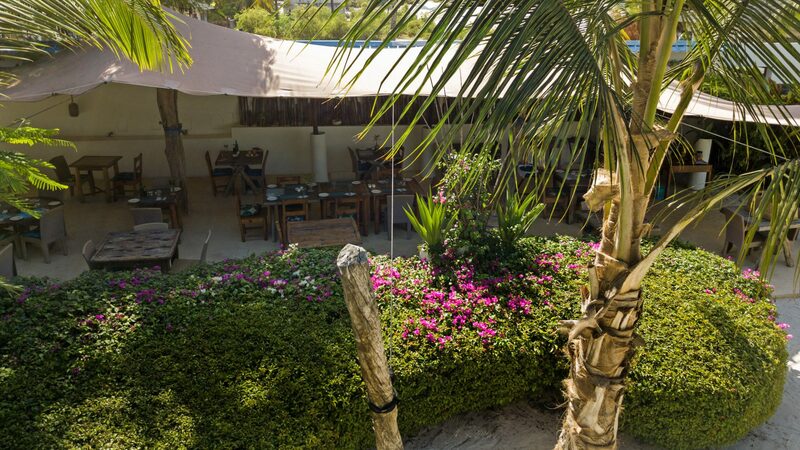 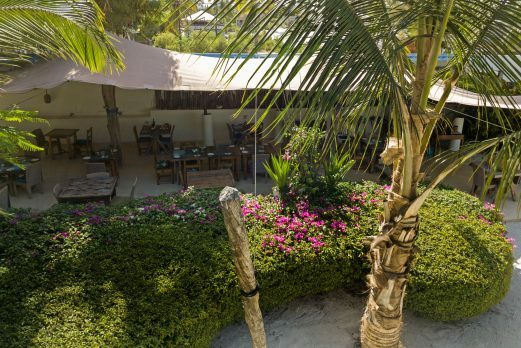 At the centre of the property is a the main restaurant housed in a bedouin tent plus the hotel’s main pool and reception area and Mtoto Kids Hut.